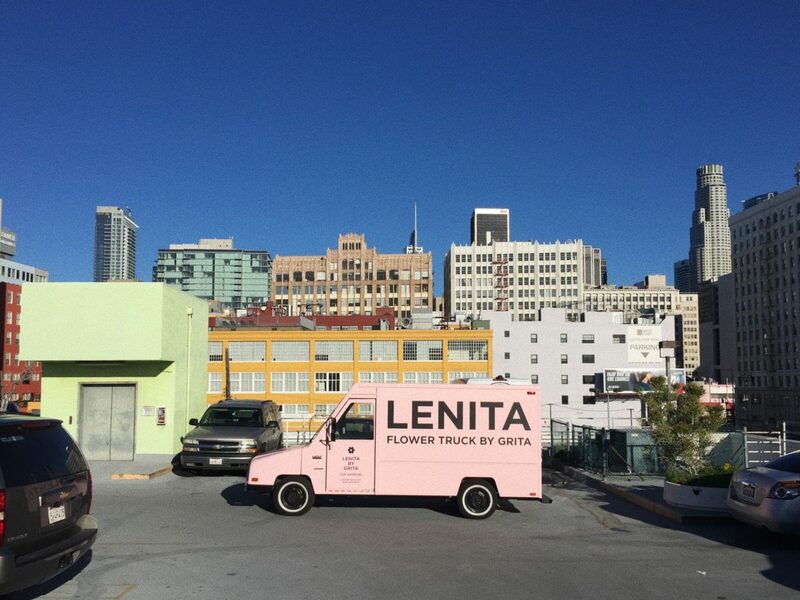 The LENITA Flower Truck parks in Downtown LA on weekends from 10am-3pm. Photo by Nemuel DePaula. 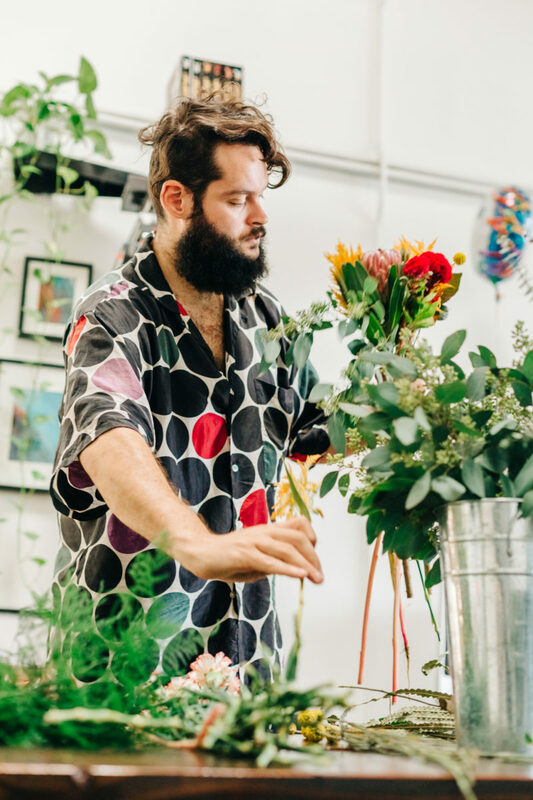 Merging his love of florals and design, DePaula decided he could also tap into the city’s strong food truck culture—he founded LENITA, a flower truck that parks around downtown LA’s arts district on weekends, selling floral arrangements to people in the neighborhood. He’s lived in the area for about four years now and knows it pretty well. 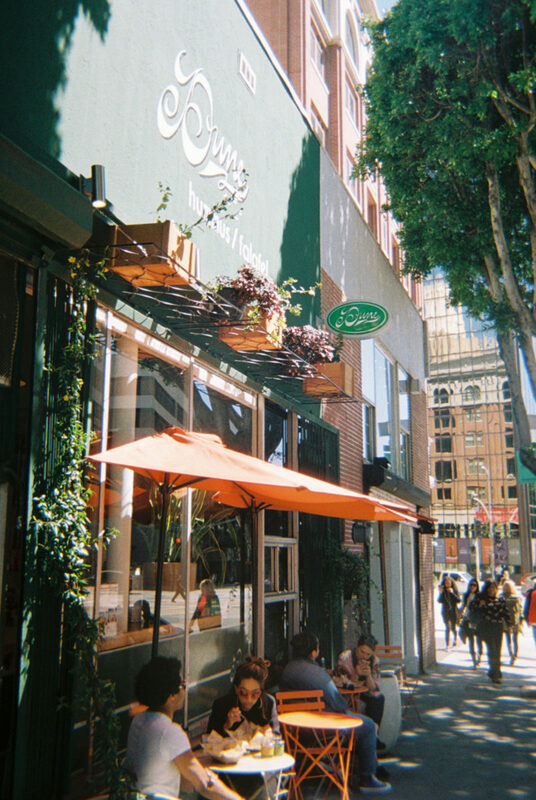 Just in time to enjoy the splendors of LA in spring, DePaula shares his super-fresh guide to Downtown Los Angeles. Nemuel DePaula crafting a flower arrangement. Photo by Iris Ray. 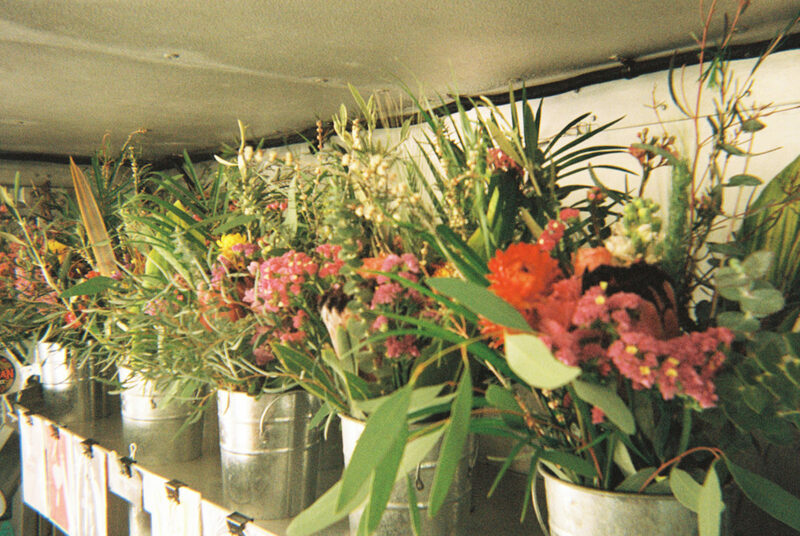 Stocked up from the Flower Market in the LENITA Flower Truck. Photo by Nemuel DePaula. 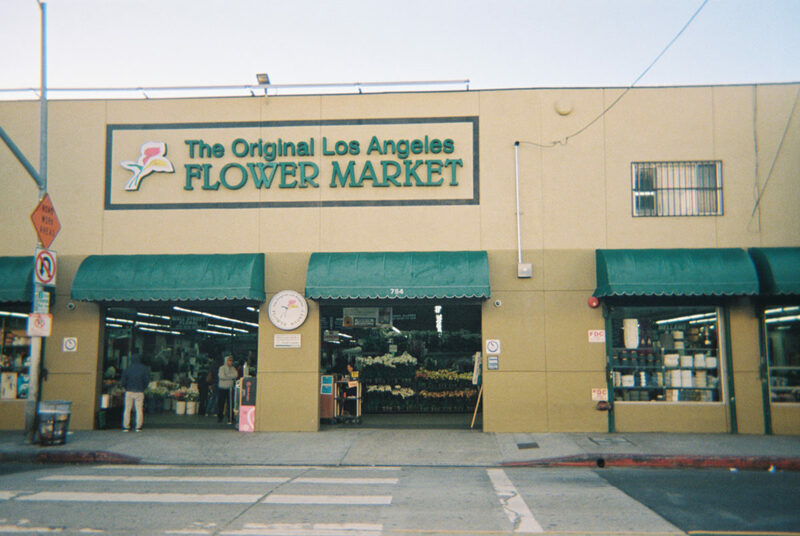 The Original Los Angeles Flower Market. Photo by Nemuel DePaula. Walk us through the ideal weekend in your neighborhood. Most of my weekends are spent ‘flower trucking,’ so I get to explore the neighborhood in little pieces. 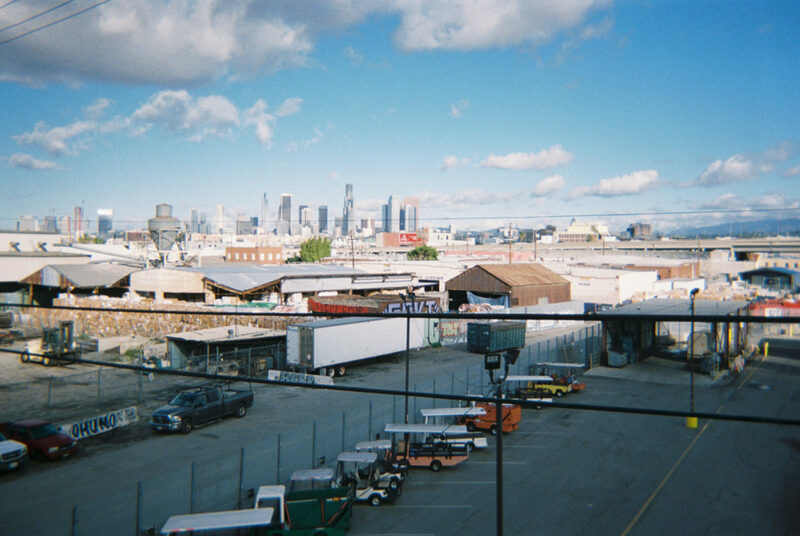 The weekend must start by visiting the Los Angeles Flower Market on Saturday morning. It’s the largest flower market in the United States and open to the public from 8am-1pm (closed on Sundays, $2 admission). Then I would have to head downtown to the Last Book Store; it’s my favorite place in the city. A few blocks over is the Broad Museum, and as much as I appreciate the art living inside of it, the museum’s architecture and plaza filled with 100-year-old olive trees are what always take my breath away. Dinner would happen at WoodSpoon, a Brazilian restaurant located on 9th where the Coxinhas are perfect and each bite is a reminder of home. Drinks would happen at two places; cocktails at Cole’s located on 6th Street and serves my favorite Old Fashioned, and Tony’s Saloon, our classic neighborhood bar serving Allagash on tap, my go-to beer brewed in Maine. The weekend would not be complete without a stop at LENITA BY GRITA on Sunday, and to wind down, a visit to the best wine shop in the neighborhood to pick up a bottle for the evening, Wine Stop (currently in love with a Red Sparkling called Pronto Secco). Arts District of Downtown LA. Photo by Nemuel DePaula. Hauser & Wirth, an arts museum in DTLA. Photo by Nemuel DePaula. Dune, a local favorite lunchtime restaurant. Photo by Nemuel DePaula. 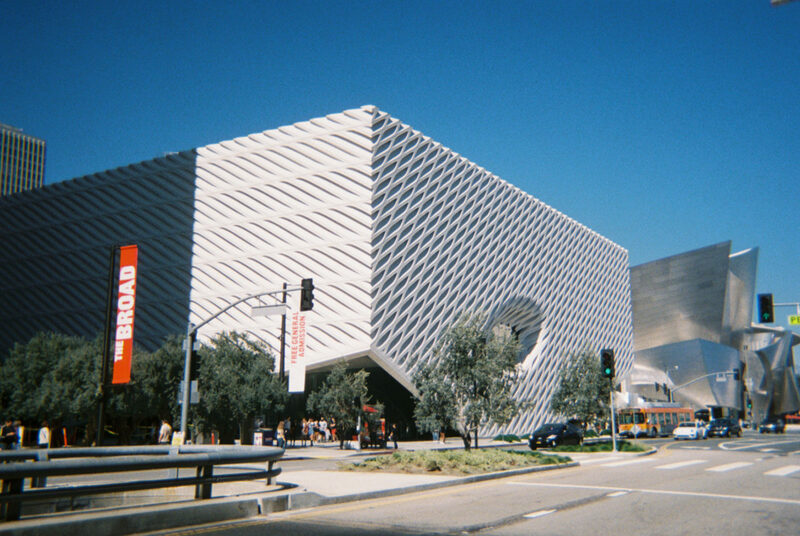 The Broad Museum. Photo by Nemuel DePaula. Breakfast: Bread Lounge, a cafe with artisanal baked goods and sandwiches. Lunch: Dune Downtown for falafel and other Mediterranean fare. Dinner: Men Oh for ramen. What is your neighborhood’s best kept secret/hidden gem? On the border of the Arts District and Boyle Heights is a thrift store called Deseret Industries. It’s my absolute favorite place to shop. Any arts & cultural destinations a visitor shouldn’t miss? 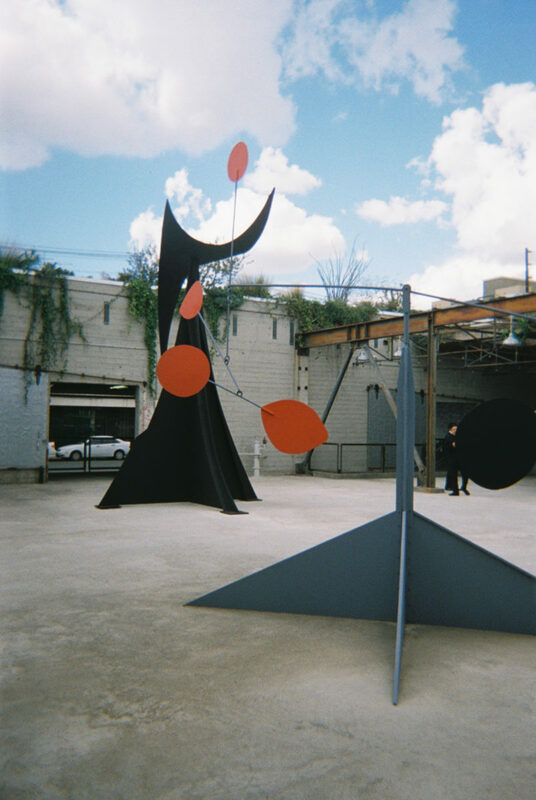 Hauser & Wirth on 3rd street (where LENITA spends Sundays). Aside from the amazing changing exhibits, it features Manuela, a restaurant with a seasonal menu, the Artbook bookstore, and even a chicken coop. 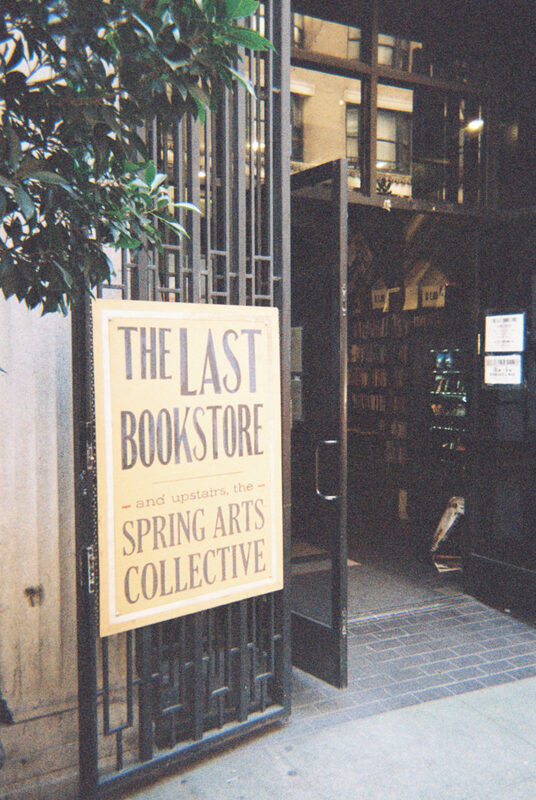 The Last Bookstore. Photo by Nemuel DePaula. Parked. Photo by Nemuel DePaula. Where do you go to find inspiration for your work? Bookstores! Aside from the ones already mentioned, we have Hennessey + Ingalls located on Santa Fe Ave. I take my dog Milkshake for a walk around the block and grab a latte a Maru Coffee; I make coffee at home everyday so going out is a treat and a way to escape whatever is going on with my hectic schedule. 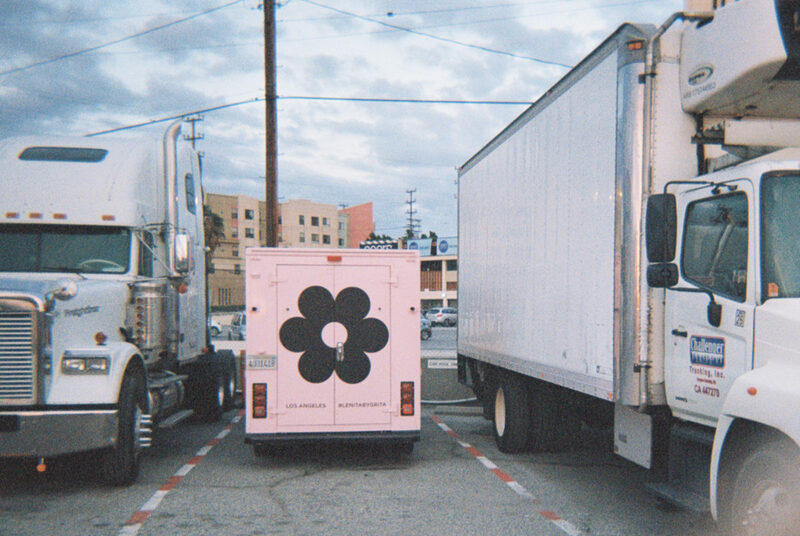 Where and when can people visit the Flower Truck? 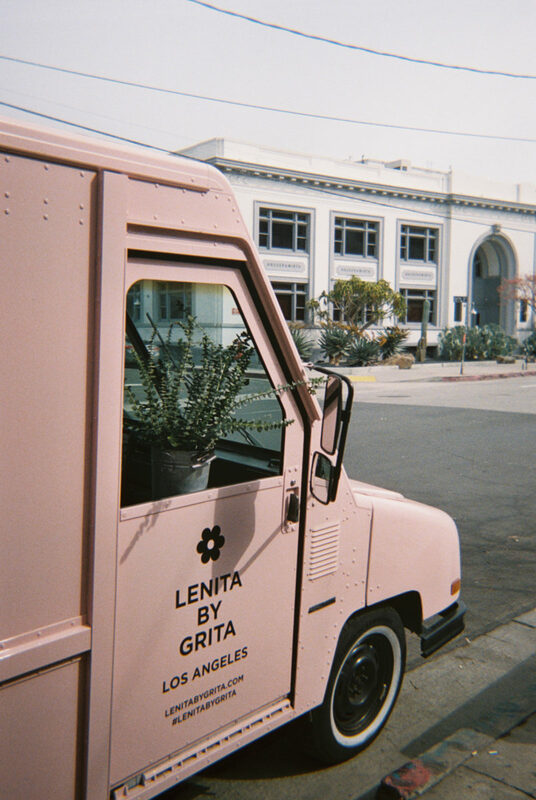 LENITA hits the streets of Los Angeles on weekends only usually from 10am-3pm. It visits different parts of town on Saturday and Sundays are spent in the neighborhood parked right in front of Alchemy Works, a stunning retail, gallery, and event space located on 3rd street. A monthly schedule for LENITA’s pop up locations and featured artists are released in advance on our website and social media platforms.